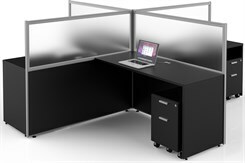 Our Basics Custom Cubicles offer simple solutions for office workstations! 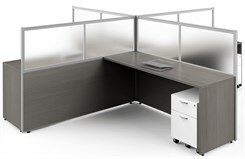 Attractive features such as windowed panels, wire management and an assortment of laminate finishes give our Basics Custom Cubicles that high-end look without the high-end price tag! With 4 headache-free configurations available, choosing a workstation will be quick and easy. Other sizes sold below. Need a special size or configuration? We can quote it! Just fax or email your drawing to receive a personalized custom quote! 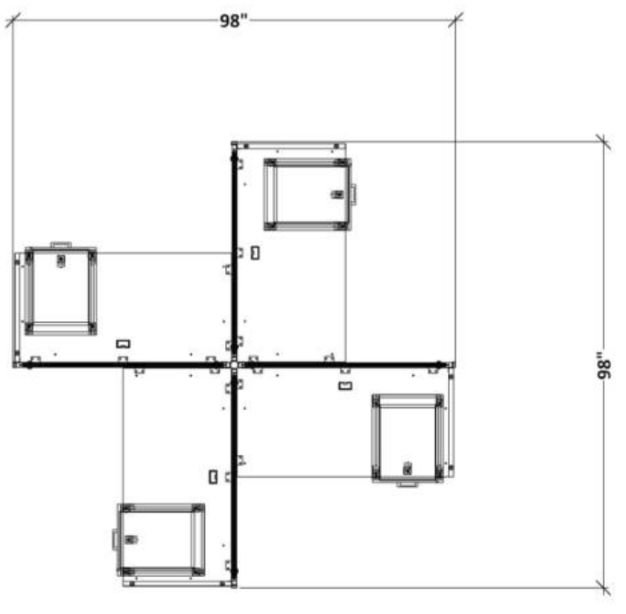 Quality and workmanship stand out in our Basics Custom Cubicles. The panel frames are finished in an attractive brushed aluminum. 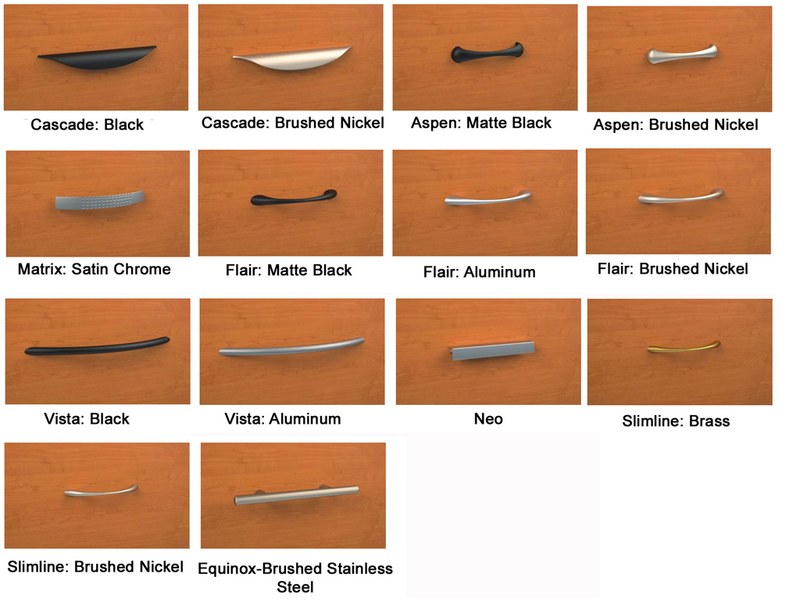 Desktops and panels are constructed in any combination of many high pressure laminates. Frosted glass windows will provide a barrier for your workers, while maintaining that trendy "open office" look! Mobile file pedestals are also constructed in the same attractive laminate finishes and feature ball-bearing drawer slides. 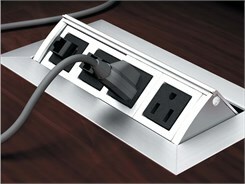 Panels are non-cableway but grommets and cable trays are integrated into the desk tops and in between the workstations for easy wire management. Need power and data? No problem! Factory installed, desktop power modules are also available to order and are listed towards the bottom of this page. 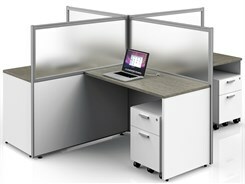 8' x 8' , 4-Person Workstation sold above. 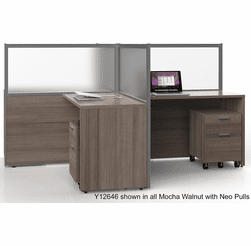 Includes 4, 48"W x 24"D worksurfaces and 4 mobile locking file pedestals. Workstation ships unassembled, files ship assembled. Workstation measures 98"W x 98"D x 50"H overall. Files measure 16"W x 18"D x 21"H. PRICE INCLUDES SHIPPING! (Truck Shipment - see Terms & Conditions.) Please allow 6-8 weeks for delivery.